Hi ya's. As New Years approaches I wanted to let everyone know a remembrance garden has been built to pay tribute and love to Nikita AKA Wintercharm. I will need to add you to friends list on Kiwiflava to build. I can also be contacted via PM here on forums or if I am in game (Kiwiflava/Kiwimidget @Greybriar) should these times not suit you. This dimension will be closed for building February 1st, or when capacity is full. It will be open to view always from today. Red Orbs have been placed to indicate where you can build to save overlapping/accidentally picking up other placed items. Please limit your floral arrangement to approx 30 items. On the last Sunday of January I will open the dimension for any additions dependent if space left. Please feel inspired to take a picture of your part of our community garden and post here. "The seeds of kindness that you plant today, will one day bloom in the hearts of all you touch." As anyone who knows her knows, Wintercharm was always happy with whatever made you happy so any floral arrangement is perfect but if you are stuck for ideas - snow globe floral arrangement, plushy in a pot, garden gnome flowers or boggling bouquets (etc.) Wintercharm also loves animals so I also have animal NPC's available at the entrance of the dimension if you would like to place one with your contribution. Sample: Songs on the Ice flower arrangement to celebrate her love for music. Polynomia: First garden placement with bunny rabbit. Thank you to everyone who contributes and big hearts to every dimension tribute occurring privately or publicly. Please let me know if you need anything, happy to cheer on/contribute. Last edited by Kiwi; 01-02-2018 at 02:34 AM. Cheers to all and glad I could help. Sorry for your loss. She will be missed as will her inspiration. Phineousfingers on Twitch - Phonybologna, Pintseyes, Oopsupside and Getchasome@Greybriar. Tourists on every PvE shard, NA and EU. Lots of free items available for the asking. All Public dimensions are on Greybriar; flagged (PBJ) *for Phonybologna's Junk. Seeing these small tributes to her daughter from all the people she knew or touched in-game will mean so much to her mother. This project is only about paying tribute to Wintercharm. So build anything that reminds you of her, something she liked or just something pretty or funny. Thank you for your lovely flowers, I put the bunny with them. To explain why I have made a garden specifically is on my blog which I wrote yesterday. I didn't really go into here as I didn't expect a garden in someones beautiful name to be an issue of any sorts because yes this is a tribute to our lovely Wintercharm but its also a healing for each other that I moved to put up by New Years eve in case anyone needed a place to feel comforted as the world keeps spinning which can often feel disorientating. This build was also never begun to be the only one to pay tribute to our friend and her family, in my my fleeting thoughts as I thought about making it only a few days ago I was hoping there would be many on every shard but a garden was also chosen because we have so many beautiful flowers and I could only afford this dimension currently so I worried about space after the foundations were laid. Coochee @Faeblight has a wonderful build occurring with 4000 spaces thank you Tawksuoko (Coochee) personal builds are also beginning to bloom which is so amazing. Can't wait to contribute to or see them all. This garden will be available to place flowers until the end of January so those busy during the holidays get a chance to also if they wish, ideas are above that are only ideas as some are also having difficulty deciding which is completely understandable. Happy, beautiful New Years everyone. Last edited by Kirrarose; 12-31-2017 at 12:25 PM. Wintercharm would come over to EU and invite online builders to come and take (really good) stuff from her storage dimension. As she was so generous and really nice to talk to, I always assumed that she was much older. I was asked to replicate a horse and carriage that Winter made in one of her dimensions. It was my honour to do so. As a member of the same guild that Winter had belonged to I often talked with her and collaborated with her on a build for the guilds anniversary party and setting up a storage dimension for the guild. Winter was incredibly talented for a person of any age and she was only 17. She was also always willing to help anyone she could. No wonder we all loved her. Dear Winter, you touched us all and we are better for it. Rest in peace sweet child. She was such a wonderful person, always happy and sweet. Thank you to everyone who has been coming by and to those who have contributed. I understand some are trying to reach me to plant flowers, if folks could pass on the original post or let them know I can be PMed here on forums to log in (Central USA timezone) or I'll definitely be in on my Sunday mornings this month, that would so much appreciated. 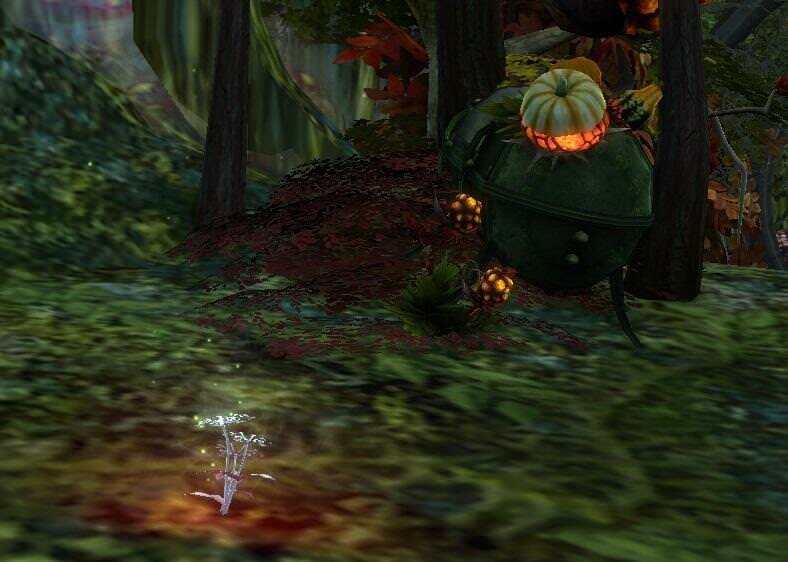 Today I wrote an article on MMORPG.com that also shares all the current Wintercharm memorial/tribute dimensions if anyone would like to visit/contribute, if you haven't already. Every tribute in this garden and everywhere is just so amazing. I hope we are all finding comfort and joy. Last edited by Kiwi; 01-10-2018 at 12:49 AM. A message from Wintercharm's Mother. Thank you to all who spend so much time and love toward my little girl who had so much love and devotion to this game and the wonderful people on here that offered her unconditional friendship, advice, encouragement and love. I her mother am very honored to have such wonderful support for my daughter. She truly was an amazing girl who had a love and passion for the dimensions. She was also a straight A student with over 93% average. She was in two band classes and was studying for her dream of becoming a marine biologist. Rift was her stress relief that allowed her to let her artistic and creative side come out. She talked about each of you on a daily basis and was so excited for her winter break to start on Dec 22ND so she could dive into fae yule that was going on. She was so excited when telling me of all the new items that were being added and that it was being extended. I'm very thankful for everyone here who loved her, supported and encouraged her to become the beautiful amazing young lady we lost. Thank you! She also sent Wintercharms last drawing that she was going to be sending to Brasse of a Budgie she really wanted for Fae Yule, something she had done before in the past when she had sent Brasse a drawing of a squirrel mount. Michelle does not have a copy of that drawing but she wanted to share this one. Last edited by Kiwi; 01-10-2018 at 12:28 AM. This is so sad I made character on NA servers to go and see dimension. I couldnt put a like though.. probably cause I am just level 1 there. But the dimension is lovely. It made me even more sad though. Last edited by cibi; 01-10-2018 at 09:19 AM. It takes just one flower to start a garden, and one smile to brighten a day. I am so sorry you had to endure losing a wonderful soul. i will keep you and your family and friends in my prayers, I would like the Thank Kiwi for allowing me to put a bear that means a lot to me in Wintercharms Garden. my grandaughter has a nick name of Bear from the day she was born, she is my life , and the thought i could lose her kills me . i know you have lost a part of your soul as well. i had created this Snowbear before your loss . but i want to send bear hugs to you all and to Wintercharm as well by placing this bear in her tribute dimension. Big Hugs and much love . one screenshot is Kiwi with bear, and the other is Maleafacent with bear.